Photograph 1 - Looking at Diamond Head from the Waikiki Aquarium, Hawaii. 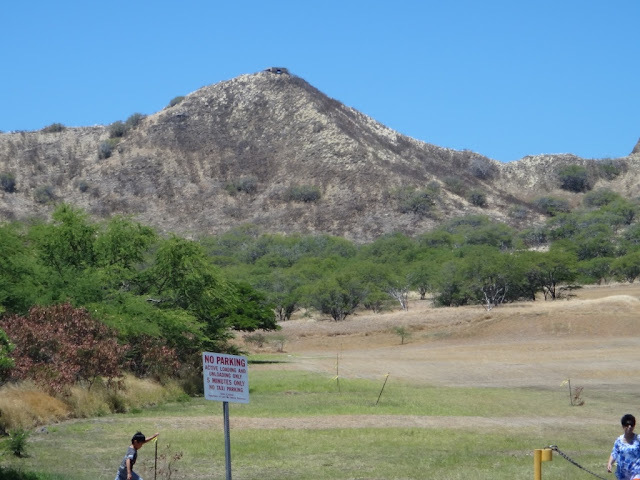 Photograph 2 - Diamond Head Lighthouse, Hawaii. 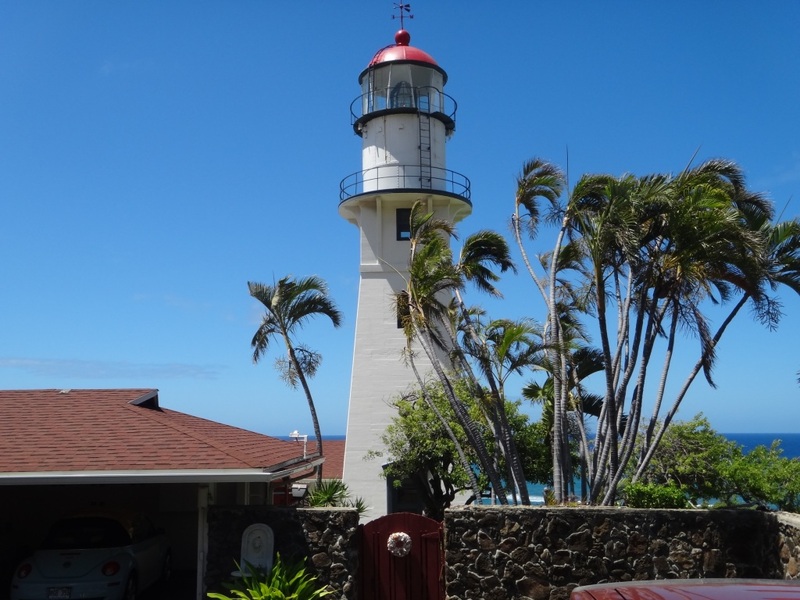 This lighthouse is located within private houses surrounding Diamond Head. 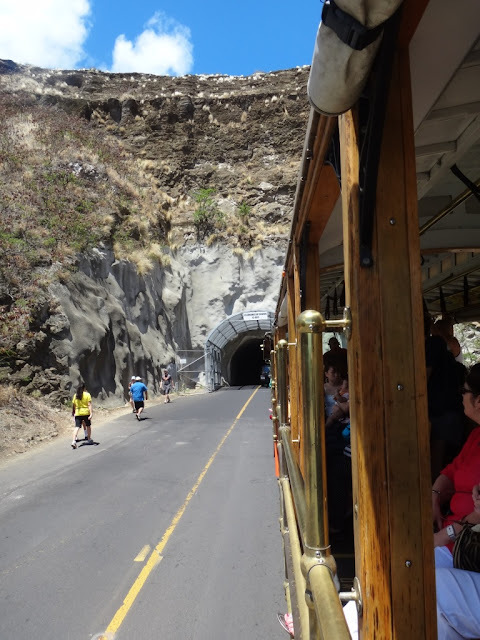 Photograph 3 - Entering the tunnel to go inside Diamond Head Crater, Hawaii. 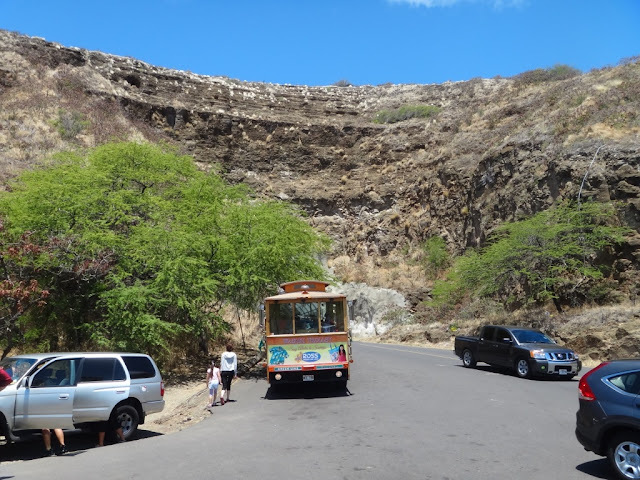 Photograph 4 - Inside Diamond Head Crater looking towards the highest point of the rim. The volcano is inactive - last time it erupted was 175,000 years ago. Photograph 5 - Looking toward the most easterly point of O'ahu. 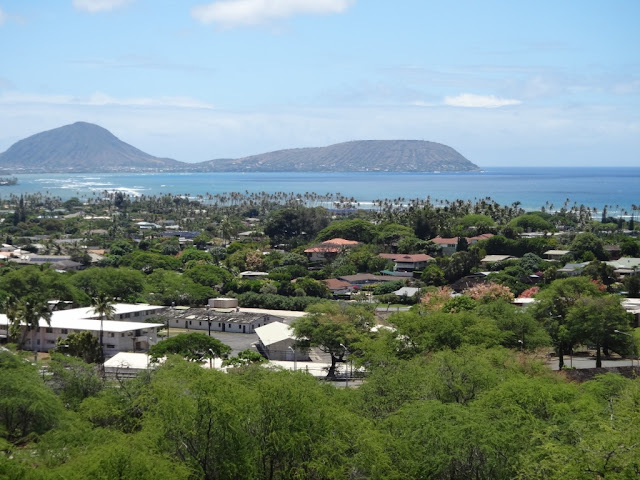 Taken from the rim of Diamond Head Crater. Photograph 6 - Our "green line" trolley bus with the Diamond Head Crater rim in the background, Hawaii. Well this is it. Effectively, this is the last post for our holiday while in the USA. Tomorrow about 12:30pm Honolulu time we board our aircraft for the ten hour journey back to Sydney. 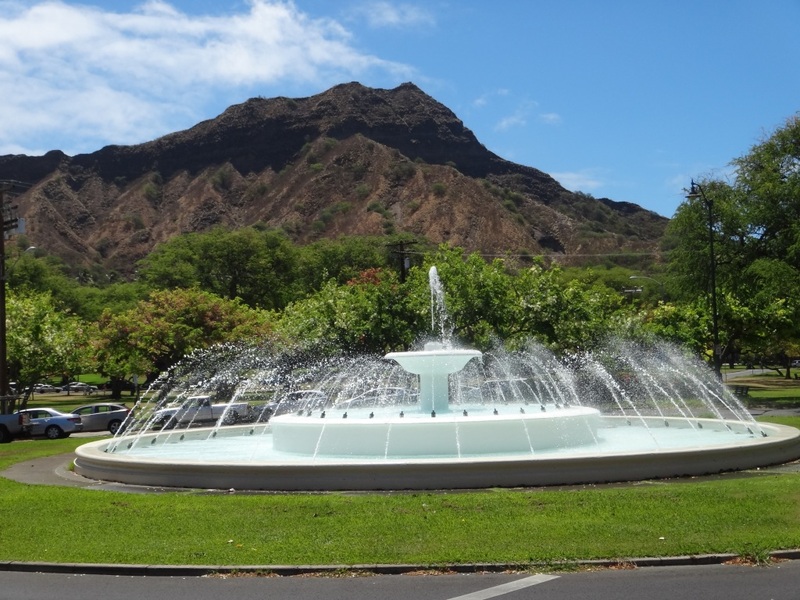 Given the 20 hour time difference between Sydney and Hawaii we had 72 days of great experience and now that we ventured into the US we have seen now how they have given us their best hospitality we could ask for. There have been minimal changes to our itinerary and for those annoying changes we did face it worked out either better or compromised agreeably. We didn't suffer any serious or even minor health problems. The only problem we faced are sore legs from walking long distances and dry skin we experienced when in desert territory. As an example Las Vegas has zero humidity that took all moisture away - especially the soles of our feet. If asked what was our highlights of our holiday the three most memorable sights we seen were: bears in the wild, Yellowstone National Park and the state of Colorado. However, these sights are just three among many things we experienced during our trip. To readers who did read our entire blogger they will know what parts of the US we had enjoyed. So.......where to now with this internet site? On our return we will enter some photographs for days 71 and 72 which will not be many snaps. However, this will be a good reference of our trip not only us but others who want to know what we did. We would like to thank all those people who read our story and have actually sent emails to us - we really appreciate this. For those who have read, even partially read, our posts it is appreciated if you could reveal yourselves when we come home. Thank you from Neil and Anne.